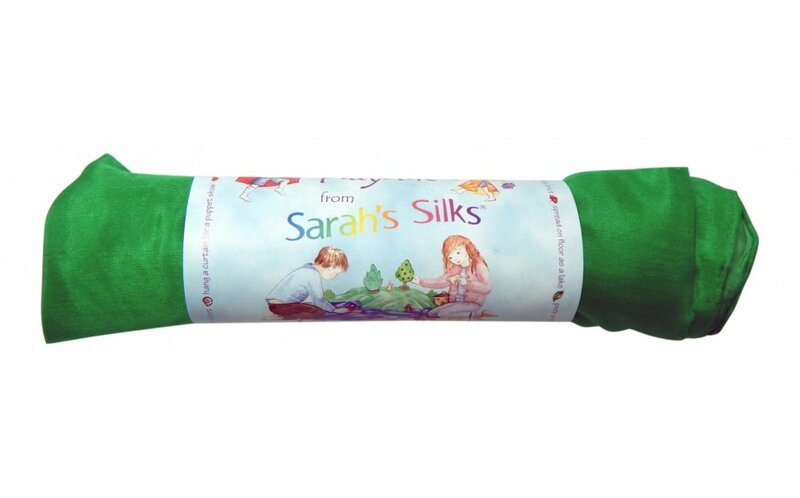 A beautiful emerald colored 35" square of dyed silk for countless uses in your playroom. 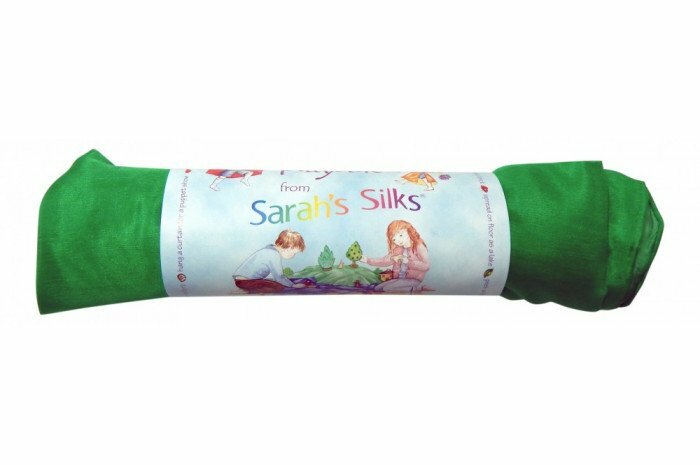 Hand dyed and sewn in the U.S., simply hand wash and hang dry to care for your playsilk. 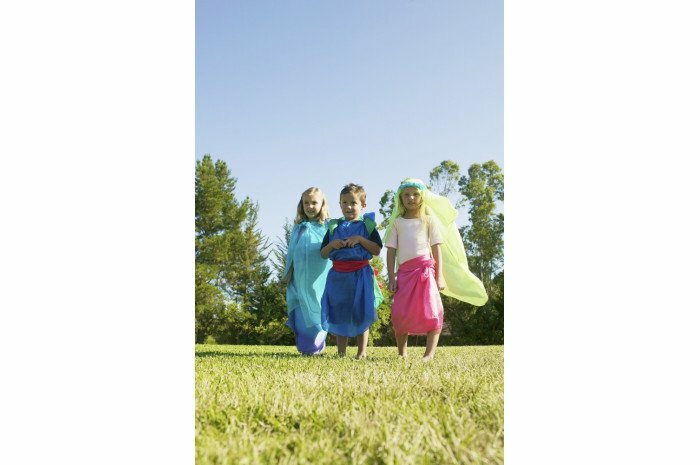 Clients may choose to use as a blanket, tie it as a skirt or cape, have a picnic, play peek-a-boo, and more. 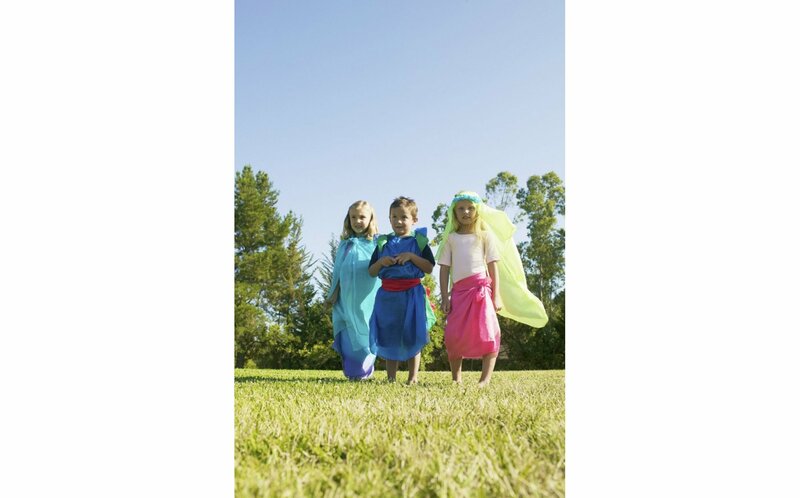 An enchanting playtime activity, playsilks will be used often in your playroom. Even better, due to their versality, a must have for the therapist on the go or with a small space.